We are conveniently located off of 12th Street SW right across from Target, featuring a convenient drive thru service. Welcome to Forest Lake’s premier dry cleaners! Our new location opened in summer of 2015 and is the same quality dry cleaning, just in a better location. You can find us across the street from Target right next to Auto Zone. This location has a lot to offer. We have an on-site seamstress ready to help you with any of your alterations needs. Whether it’s a loose hem, taking seams in or a repair – our staff of tailors are alteration experts that can help you. We offer “Quick Turn Alterations” to make your life easier. If you catch a minor repair like a loose hem, missing button or maybe a small tear, we can have it repaired and returned to you in just two days and come back with your normal dry cleaning! As a Reader’s Choice winner for over 10 years, our team of dry cleaning experts know how to clean just about everything. With our headquarters nearby, you can ensure your clothes are in safe hands. We can also take wedding dresses, mascots, uniforms, costumes and even taxidermy! If you have any questions regarding our services or maybe wondering if we can clean something – give us a call! Love the new location. Drive thru makes trips to the cleaners much easier and super fast! Had my wedding dress preserved with St Croix Cleaners. Came back like it was brand new! 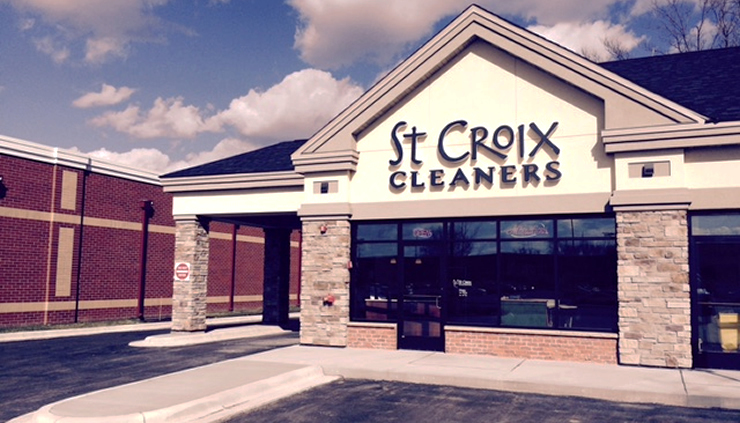 St Croix Cleaners is a locally-owned, Minnesota dry cleaner. We pride ourselves on eco-friendly dry cleaning and exceptional customer service to help people look and feel their very best.